A Pecha Kucha video about influences... What drives me? What makes me work? What makes me tick? I’ll add what I’ve prepared as the voiceover text later, whether it ends up being what I actually say remains to be seen. Slide 14 - Stephen Shore, US 97, South of Klamath Falls, Oregon, 21 July 1973. I’m going to talk about some of the things that I’ve liked and have influenced me over the years. The first thing I have to mention is music; it’s affected the way I looked, the way I feel and the work I produce. As you know, I’ve used lyrics in my images, but I’ve also used music as the image itself. 2. Here’s a photo I took at a gig, the photograph shows the audience and the effect music can have. Elsewhere it might be less overt but it’s there if you know where to look for the signs. All of my recent projects are also named after songs too. Might be a bit cheesy, but there we go. 3. Surrealism was the first “ism” I became aware of at school, and it’s stayed with me to some degree ever since. 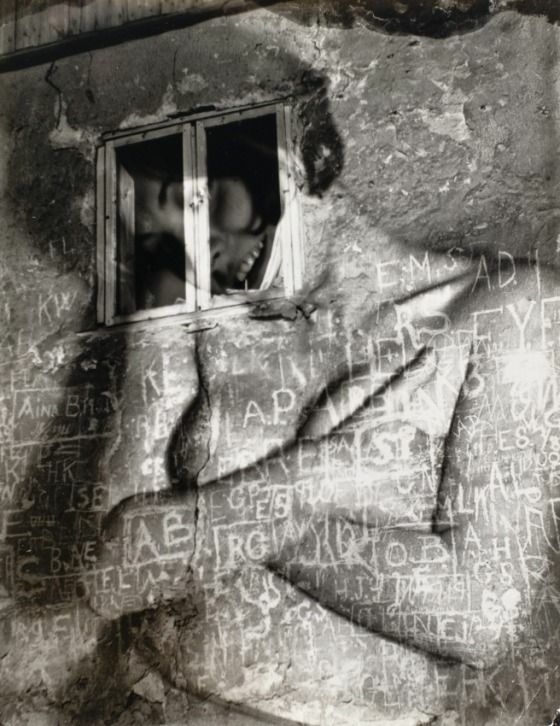 Not just in terms of photographers either, but Dali, Magritte and so on too. It probably comes from reading too much science fiction when I was younger. 4. Another surrealist was Henri Cartier-Bresson, but he will be better known for his photographs of the “decisive moment”, like his famous St Lazare photograph. I really got into black and white photography from these old images from Cartier-Bresson, Doisneau and Atget, etc. 5. 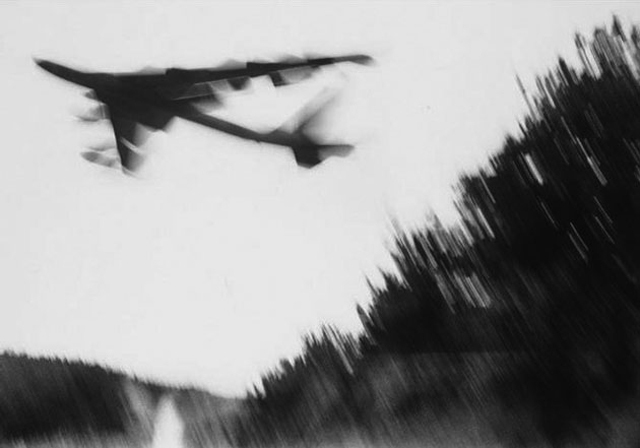 From France, my interests moved over to Japan and the Vivo and Provoke groups from the 60s and 70s – photographers such as Tomatsu, Hosoe, Moriyama and Takanashi were producing images in the “are bure boke” style - grainy, blurry and out of focus. 6. 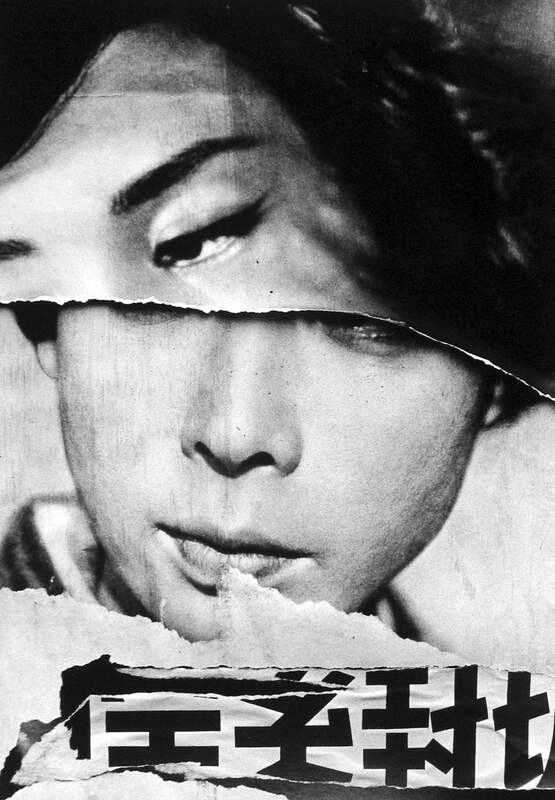 The images were politically charged, and even though they were influenced by the West, and new wave filmmakers like Jean-Luc Godard, they pushed against the American occupation of Japan and reacted to the experience of the atomic bomb. 7. William Klein was an influence on Moriyama, and I thought their exhibition at the Tate a couple of years ago was brilliant. What draws me is the way he layers different elements – photo with photo as with this one, or with text or graphic design. 8. Coming closer to home, I have to say I’m English, and I do like the more contemporary style of English photography – after the Picture Post era like this one from Tony Ray-Jones, it became a little edgier and… eccentric. I find this really interesting. 9. Cinema is another big influence, as you may have noticed from the work I’ve been doing. This still is from Christopher Petit’s Radio On, which was a direct influence on the work I exhibited in Bank Street last year with Speak My Language – a mosaic of images viewed in a large grid to form a non-linear narrative. 10. This is one of the images from that work, it’s of Wong Kar-Wai’s “Fallen Angels”, which also gave me the title of the project – Laurie Anderson’s “Speak my Language” was on the soundtrack to the film, and this frame and the lyrics were included in the mosaic. 11. I’ve also got to mention Objectivity and the Dusseldorf School – people like the Bechers, Thomas Struth and Andreas Gursky. I find this relatively recently but it appeals to the engineer in me, with everything neat and ordered and logical. 13. William Eggleston was one of the early colour pioneers, who helped make colour photography acceptable on the art scene. I really do like his eye for mundane details, the way he picks up on all the little things we might overlook and makes you look at them as if they now meant something. They become important somehow. 15. This brings me back to film and Blade Runner – an all time favourite of mine, and a perfect postmodern film, with its themes of simulation, what is real and all that. Looking at something like this starts to make sense of some of the pomo theory. 16. I’ve done a reasonable amount of reading on visual culture, and I do subscribe to some of it, but not all – it gets a bit… aloof in places, and it assumes a lot. Some times I just like to appreciate things for what they are to me (itself part of the theory), rather than what they might mean or not. 17. My favourite kind of book is the photobook though. This is one I produced with Daido Moriyama at an event at the Tate. My methodology was much different to his, I was much more considered, and he was very random, more spontaneous. His juxtapositions can be down to luck rather than planning. 18. I like the physicality of the photobook, the image becomes an object that you can “own” rather than something just seen on a computer screen. Whilst books might be thought of as a limited media, you can do so much with it if you want to. And we all know about bookness now. 19. I’ve mentioned text before, but then I don’t like direct captions. I like to think about what I’m seeing, rather than being told what it is. Ok, sometimes I’ll admit to needing a clue, but if the caption is reductive, I’d rather not read it. 20. And that’s it, back to music, me and popular culture… I probably should have been born 20 years earlier. I’m waiting for feedback from some of the cohort, but I think things went well enough. And it was quite interesting that the Barbara Kruger text came up in the lecture beforehand (as did Warhol’s Marilyn). In deciding which online resource I'd use for the upcoming hangout, I came across the Tate Shots video (bottom) and in watching I was confused about something, there was a lamp isolated against a blue ceiling. So what? Well, the ceiling is normally red. I'd become aware some time ago of some 'anomalies' in the printing of Eggleston's work when I realised that the cover of my Guide differed from the images used in an article about the sale of some of his work (Googling "Eggleston Memphis Tricycle highlights this) but from red to blue? A step to far, surely? Google search results - "Eggleston Memphis Tricycle"
I posted the Sonic Outlaws video about Negativeland the other day, and I’ve now actually had the chance to look through it fully. In it there are plenty of interesting sound-bites and quotes that got me thinking about the nature of appropriation and the artistic traditions that exist around the subject. There’s also a few other things that I need to research further that were mentioned in the film. Things like Detournment, (which a very quick Google search seems to show originates from Guy Debord and SI), someone called Marshall McLuhan and the Billboard Bandits (not necessarily in that order). The cover could cause confusion and financial loss as it could lead to people buying that instead of the new U2 album that was due for release around the same time. In a story filled with amusing turns, the band took advantage that the news machine does exactly as they did and re-reported a bogus press release (without checking any facts) that the band were somehow connected to an axe murder that occurred, supposedly, following a row over one of their records. This went from fanzine to music press to mainstream news to the point the story had to be retracted. A story that was appropriated without question – as one of the members of Negativeland mentioned – reprinting, cannibalising and copying is so routine, it’s frightening! All this ties in with the idea of visual culture, of these representations (TV, music/muzak, high art, speech, dreams and ultimately society) and how it structures the way people behave (loosely from Visual Methodologies). At the start of that book, there is also an introduction to occularcentrism, and the centrality of the visual to Western society – something the postmodernists, SI, Debord and Baudrillard spoke of, and something I will inevitably come back to later during the MA. The UK laws are different but changing, so will see on that one. I’ve not watched it all, I’ve not got the time at the moment, but there was something at just over 3 minutes into the video that really struck a chord with me. Now, this is all fairly basic stuff, but it is probably something that forms a cornerstone of my work for the last couple of years. I’m not saying it always will, and it’s not been like that for all my work by any stretch of the imagination, but for the moment… I certainly like the way that images juxtapose with each other, like they did in A Forest and how words and images have been working together in one way or another during Game-on for Task 1 (I really need to rename this in line with my normal practice). Student work uncovered - Rob™ from Open College of the Arts on Vimeo. There’s a series of these videos, I’m not sure how many but I saw a small number at a talk given by Mishka Henner a few years ago. Really interesting work, and I’ve since seen similar things done, not least by Keith Greenough, who joined me in the [( 6 )] exhibition in Sheffield in July this year (there’s some stuff about [( 6 )] in the Development section). Merges film into a game scenario to provoke a reaction to recent events in Gaza. I have a small number of books by Don McCullin, 2 or 3, and visited the IWM exhibition a few years ago, but this has proven more thought provoking than anything I’ve experienced of his work before, perhaps because it now coincides with a period of specific thinking about his subject. It really is time to revisit his work again. Arakimentari. 2004. [DVD] Travis Klose. Troopers Films. What should I take a picture of? Should I shoot this? That? Why do we want to keep a photo? Does a photo become memory? Should I shoot in black & white…? Does it make you horny? What if I took a photo of everything I’ve ever experienced? What does it mean to be a photographer? Paul Nash is not a name I instantly recognised, but there is a vague familiarity about his work. I may have seen it somewhere, or it might just be that his work is a similar style to someone else I’ve seen - I’m terribly aware that I don’t know enough painters, being very photography-centric in terms of what I look at, although I’m sure that will change in the coming years. Paul Nash, Wire (1918-1919) - from the Tate website. Both images depict the aftermath of the battle, both images are devoid of people and both images give an indication of the trauma that will have been experienced there, Nash’s piece more so, perhaps due to the duration and the nature of the battle, perhaps because of the more figurative and interpretive nature of the media. Nash’s work bores deeper into the realms of nightmare in his representation of the wounded land, there are hints of the future Surrealism, whereas Fenton is much straighter, it’s documentary (although Errol Morris has something to say about his methods). This work relates in many ways to my current thoughts on projects. True to say they’re not really progressing at the moment, but I see parallels in my mind’s eye; Some Unholy War ties itself to the surreal and nightmarish in some ways, while the landscape is something I intend to be returning to for a later project, for year 2 in all probability as it will take time to achieve it as I intend to be travelling all over the country to achieve it. So, the documentary may not have told me everything there is to know about Nash, but it proved interesting and relevant. It was also a springboard into some other research that will likely follow as I work my way through the MA. There’s another couple in the series too, so who knows what they might inspire. Paul Nash:The Ghosts of War. 2014 [Video Streaming] Patrick Dickinson. Danny Katz Productions. Once it’s been downloaded and watched, I’m sure I’ll come back to add some more notes.